I wish I could stay in DC next month!! Well, there is one only thing about this article I disagree with: you're not an ordinary mortal person!!! You're an extraordinary amazing girl! :p Enjoy DC Joanna! Kisses from Spain. It's about damn time. Good luck with your presentation. Will you also present this at Black Hat Europe? I got your name reading a VISTA article in tha Australian PC Authority magazine. I immediately went on your website and I must say I am quite impressed. this is an excellent idea, but when I really started thinking about it I found 2 flaws. before you take the shot. so it is detectable by self timing programs. I think I have a solution that works better. address range than the PC's memory. of the two memories would not like it. 3. To take a snapshot you just disable the write. reads it and transmits it to an external PC via serial port or other means. PC software to operate it. There is another nice advantage. of that memory you get a TIMESTAMP for each memory write. ...So when are you going to change your name to Trinity? Excellent work! I understand your dissappointment at being unable to source these cards. I myself used an off-the-shelf PCI-based FPGA demo board. The PCI functions are provided by an IP-Core and you can simply code the engine in Verilog or VHDL. So, No SMT work at all (I know that SMT worries some people) and it romps in much MUCH cheaper (and more flexible) than those proprietary DMA sniffer cards that nobody wants to part with. Increasingly these days the FPGA is the hackers closest ally. Armed with an FPGA you can process spliced uplinks on the fly (A PIC microcontroller struggles above 10Mbps and stronger controllers struggle above 100Mbps) - but a cheap FPGA solution can MITM, inject, clone and reroute selected packets on DMT and QAM64 based technologies after dropping in some IP-Cores and a little packet logic. 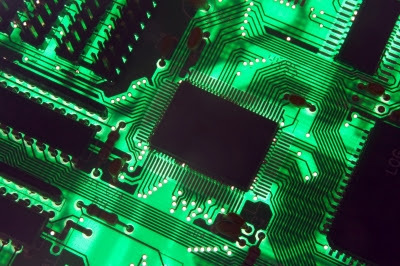 I respectfully suggest that Joanna takes a look at the readymade IP-Cores for PCI functionality and demoboards which are fully wired SMT PCI cards with an FPGA programmable logic IC premounted. Lets face it, with FPGA's making their way into HSC environments it is almost mandatory for the hacker to invest some time in learning to code in Verilog/VHDL. I've implemented DMA before in this fashion although not for this particular application. I'd suggest it is almost certainly the best route for the hacker to explore such detection systems on a tight budget. Of course, let them have these cards... for such a technology to be useful they need to be able to RECOGNISE malware. And that, as we all know, is a much trickier proposition. I've yet to meet a career hacker that used off-the-shelf rootkits anyway. And heuristic analysis at the kernel layer is almost impossible against all but the simplest and most direct of rootkit approaches. Interesting story. Any new updates? What no one seems to mention is that a CPU cache’s contents are NOT always coherent with the DRAM copy! This sort of defeats DMA, and even the proposed "shadow" RAM of Uli Dinklage. Some code could even "unroll" whatever it wanted to a section of cache that had been configured to NOT map to physical/logical RAM address and no one would see it! This is great, thank you so much for sharing! You should go global with this, hit up Black Hat Japan if you're not already planning to. Excellent work!.. it is interesting to read.., i am not in hardware industry but i liked its title. "Beyond The CPU: Cheating Hardware Based RAM Forensics"